On the 2nd Saturday of every month, the OPL hosts the Never Say Die SUP and Kayak race at 38 Paddle Co on Bull Shoals Lake. Serious paddlers can compete in a 5k paddle for awards and prizes or, if you're still learning or you're just looking to have a good time, join in the 1 mile Rec Race. 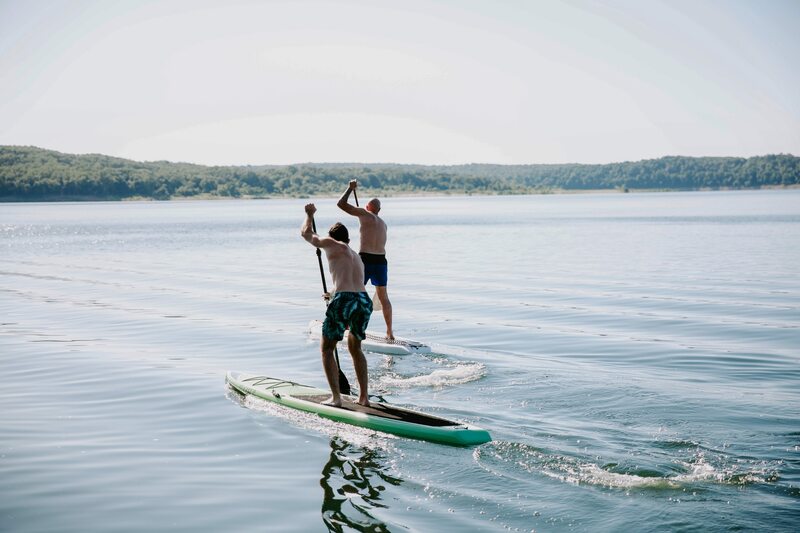 Enhance your personal fitness and find your tribe with the Ozarks Paddle League. Many of the area's competitive SUP and Surfski racers utilize the Never Say Die race to train for upcoming races throughout the US. You'll see lots of familiar faces and have a blast fighting to defend your honor! If you're looking for a little support or extra training, book a Race Tech lesson with Jenn before the race. She'll check your stroke and give you a few tips and pointers to help you compete with the more seasoned paddlers out there. Call 417.689.3771 for details.